Quite a common site on the high moorlands of the Dark Peak, but maybe not everyone knows what they are? These are commonly known Devil’s Matchsticks. Like all lichens, the Devil’s matchstick is actually two organisms working together: a fungus and an algae in a symbiotic relationship. 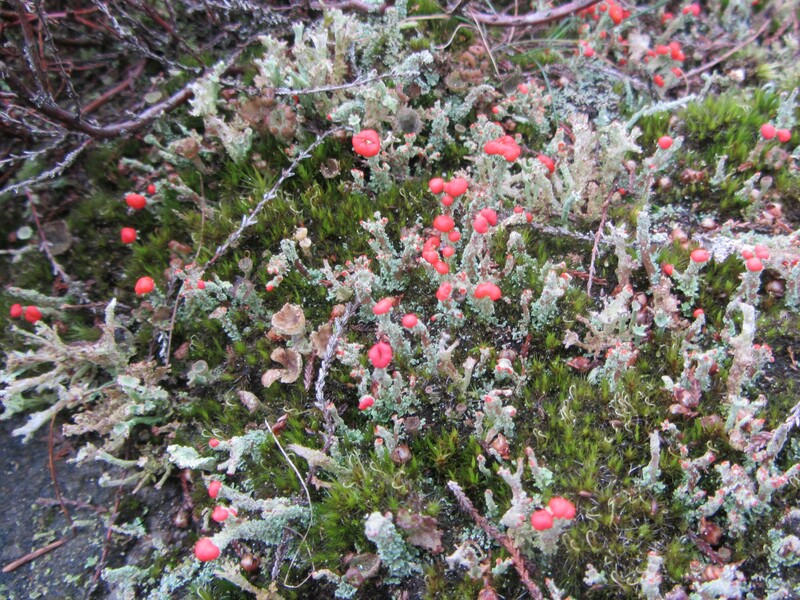 The red tips are the fruiting bodies of the fungal component of the lichen. Have a look for them next time you are walking across the Peak District’s peat covered moorlands.